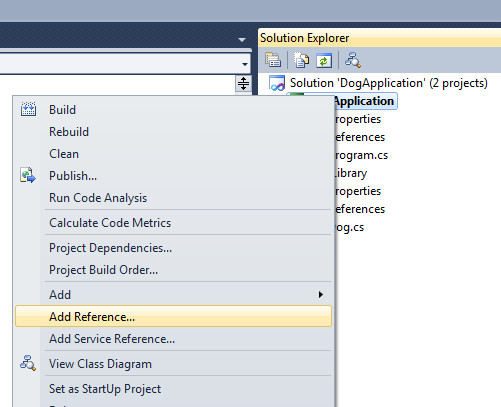 Let’s say that you’re authoring two different projects in Visual Studio–one that will contain a type (like Dog) and one that will use that type. You need to set up a project reference so that the project that wants to use the Dog class knows about the project that defines Dog. Assume that the project containing the Dog class will be a class library (.dll) that we’ll call DogLibrary. 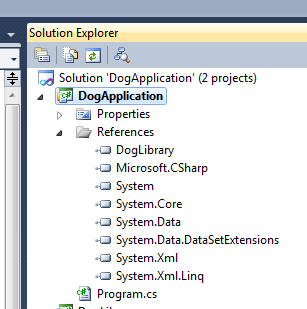 We’ll also generate a console application project (.exe) that uses the Dog class, which we’ll call DogApplication. 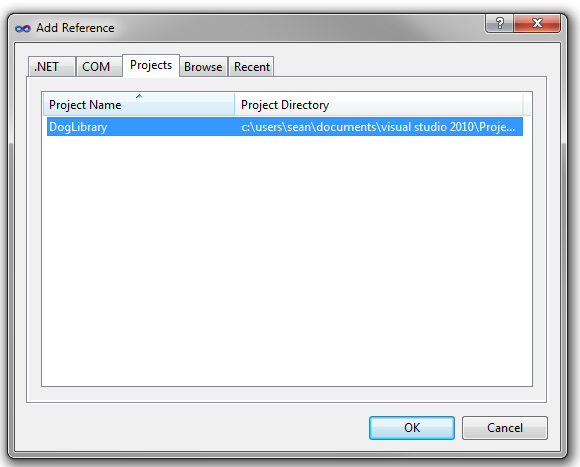 On the Projects tab, which lists other projects in this solution, select DogLibrary and click OK. 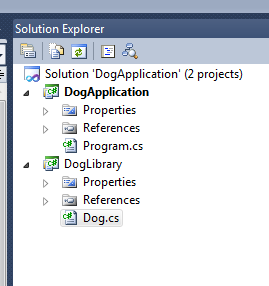 In the References folder for DogApplication, you’ll now see that this project references the DogLibrary project.